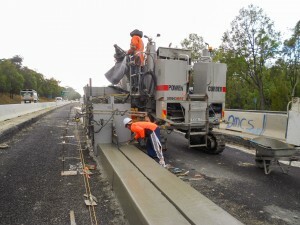 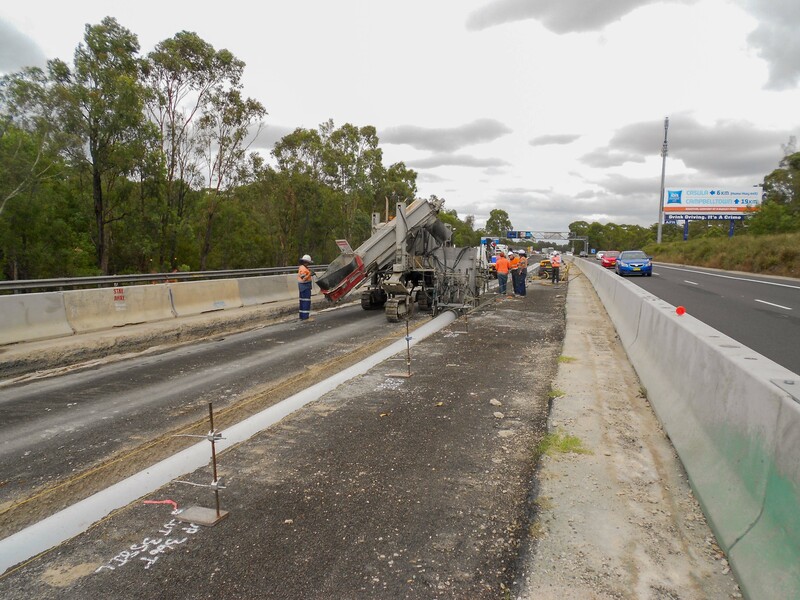 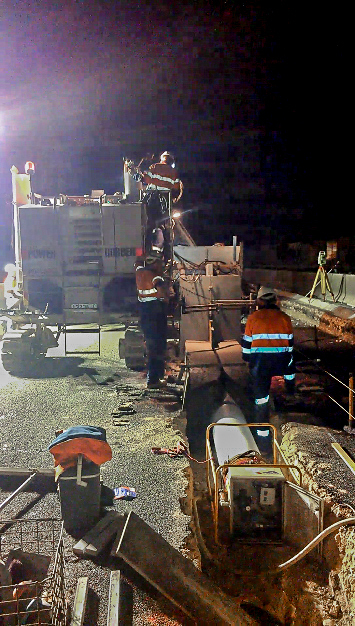 Nation Wide Slipforming of Sydney, Australia, recently used their 5700-C-MAX to complete a unique and complicated 6 km (3.73 mile) slotted drain pour as part of the M5 West widening project in Sydney. 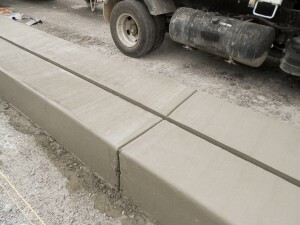 Slotted drains are a relatively simple concept, poured using an inflated polymer-based tube that is fed into the front of the mold. 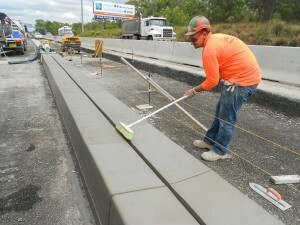 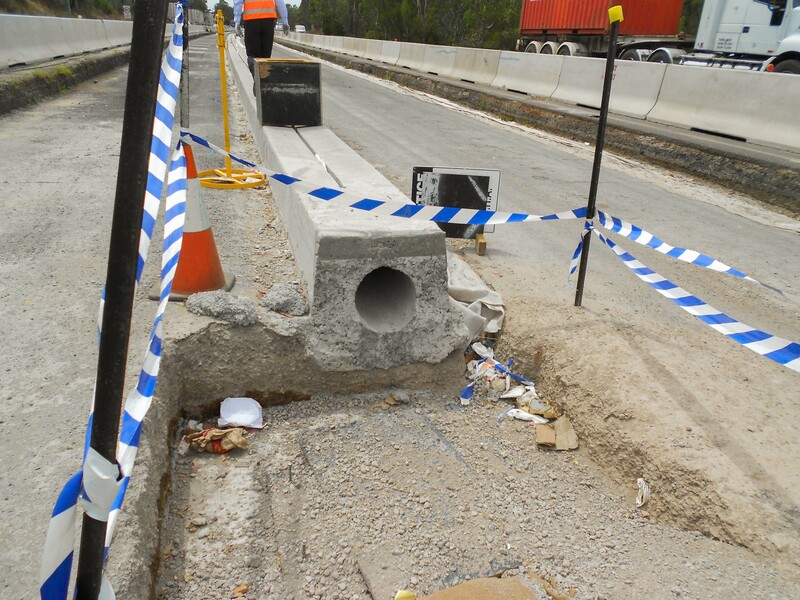 Concrete is then slipformed around the tube, which is deflated and removed once the concrete has set, leaving the open drainpipe inside the concrete profile. Clean-out pits are installed along the drain to facilitate removal of any debris that makes it through the slot. 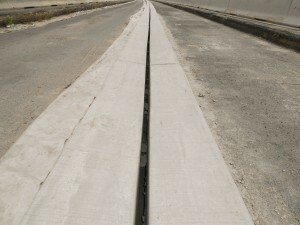 This project, however, had less than 0.05% fall, or slope, meaning that water in the finished drain wouldn’t have enough of a grade to run down. Nation Wide was up to the task, though, building the slot with variable depth from 0 up to 200 mm to allow for water drainage between the pits, even where the grade was perfectly level. 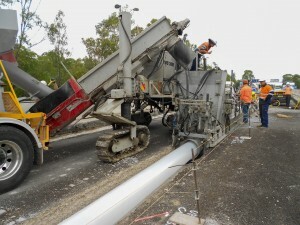 The precision of the drain itself wasn’t the only demanding aspect of this project. “We also had the challenge of being asked to work within confined areas, and with the concrete trucks only being able to access the jobsite sometimes in only one direction,” said Brian Scattergood of Nation Wide. 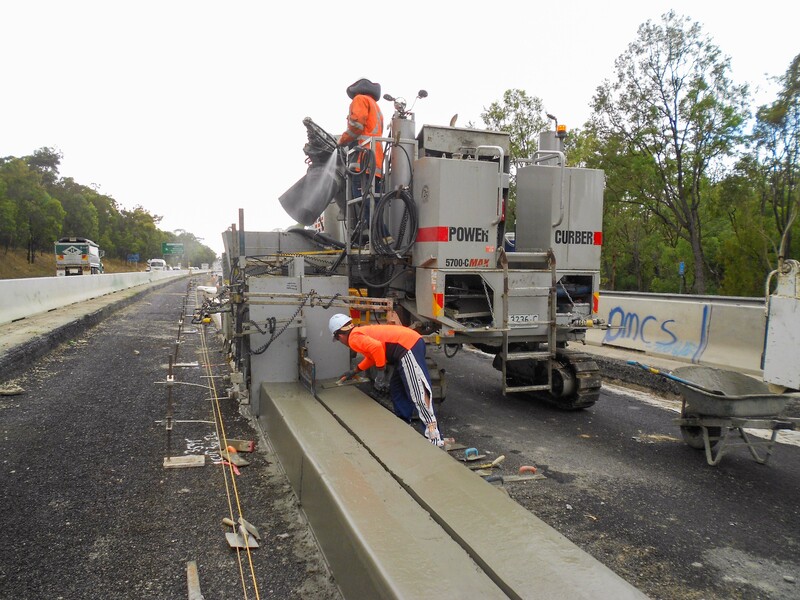 Luckily, their C-MAX has both left- and right-hand pour capabilities, so they didn’t miss a beat when they had to adapt their crew and machine to meet the demands of the job.